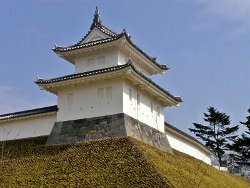 Utsunomiya Castle is classified as a flatland castle, and is located in Tochigi Prefecture. During the pre-modern age, it found itself within the borders of Shimotsuke Province. It is associated with the Utsunomiya, Honda clans. Dates in use: 1063 - 1864. Compromises have been made with the reconstructed sections of Utsunomiya castle that, I believe, make it a complete and utter eyesore. That's right folks, when I cast my gaze upon the rebuilt turrets and earthen walls and elevator and tunnel, I am physically ill. Okay, so way back in 2007, the West-northwest section of the castle was rebuilt. This consisted of the Fujimi Turret, the Kiyoaki Dai (Turret) and a mighty section of an embankment. Piercing the guts of this embankment is a concrete-lined tunnel. Is it too much of an effort for people to just walk around? 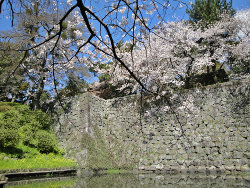 1063 It is said that the first fortifications were built by Fujiwara Sōen whose descendants would take the name Utsunomiya. 1597 The Utsunomiya clan was removed from their lands and replaced by the Gamō clan. 1601 The Okudaira clan were transferred here. 1619 During the reign of the Honda clan, the castle was improved & expanded. 1683 The Ni-no-maru palace burnt to the ground. 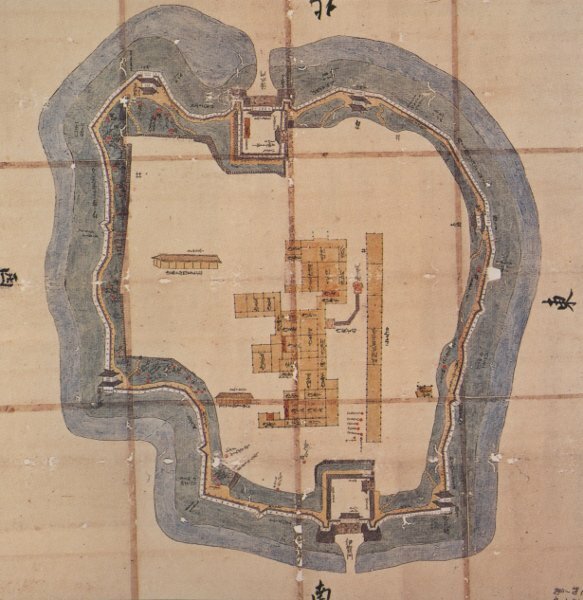 1868 The castle was completely destroyed during the Boshin war. 2007 A large section of the castle, including two turrets, was reconstructed.